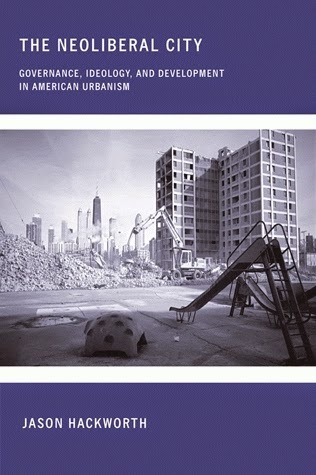 I joke that the more I learn about real estate development, the more I become an intellectual Marxist. However, while Marxism is great for understanding the motivations of capital, its proscriptions for change don't work so well, and in any case, the system of capitalism is not likely to be overthrown any time soon. But sometimes, the actions of citizens in throes to capitalism, and to neoliberalism, which is focused on the privatization of government action and property make me even more sympathetic to the Marxist position, although my "pro"-development approach likely brands me a conservative by many even though I term myself a progressive. This comes up in Capitol Hill, where for some reason residents including their representatives on the local Advisory Neighborhood Commission, prefer that a city-owned property be converted to market rate housing, instead of being redeveloped as a senior housing building offering less than market rate rents. I wrote about this before ("Senior housing needs vs. "the market" and government involvement: Part 2 - Capitol Hill and ANC6B's opposition to senior housing"). But it comes up again as Capitol Hill Corner reports on the latest developments ("Hill East Neighborhood Coalition Pushes to Reopen Bidding on Boys and Girls Club"). Former Eastern Branch, Boys and Girls Club, located at 261 17th St. SE. This property came under city control when the Boys and Girls Club organization downsized and sold many of their properties. The city stepped in and acquired them. Photo from Google Maps. They criticize the senior housing project as "requiring subsidies," implying the funds would come from local government funding sources, but instead the monies would come from the use of federal tax credits, with no impact on the local budget. And they argue against the project because the local senior aging in place initiative, Capitol Hill Village, isn't a proponent. The proposed apartment building would offer single floor living and an elevator-served building, as opposed to multi-story rowhouse living and/or having to go up stairs to enter the building. I don't totally love this design, but I can't knock the value of the project. Note that the Vida Senior Residences building on Missouri Avenue NW in Ward 4 is a project very similar to the one proposed for Capitol Hill. See "With Vida Senior Residences, abuelitos get a new lease on their golden years," Washington Post. 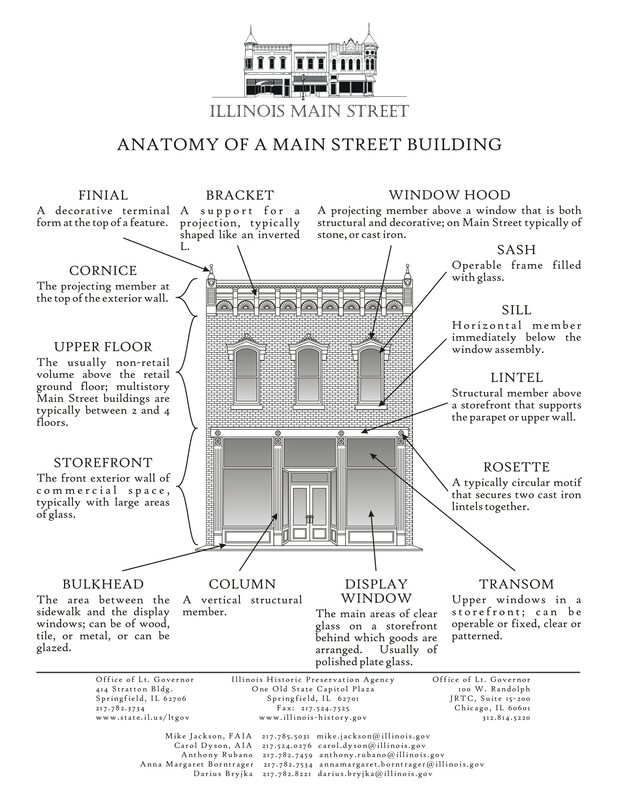 This webpage describes the complicated financing required in raising $8.6 million to construct the building, which is operated by a local senior service organization. Such complications are pretty typical for a non-market rate housing development. The kitchen-dining area in the Vida Senior Residences building. Images from Dantes Partners. Vida Senior Residences has 36 furnished studio apartments, and rents range from about $290 to $850 per month, depending on income, and significantly below market rate for new housing. By contrast, at the new Station House apartment building, studios start at $1,710 per month, although the building is in a better and more connected location, and has skee ball among other amenities. 1. Capitol Hill isn't suffering from the lack of market rate housing. According to the Neighborhood Info website, ANC6B, where the site is located, has 9.680 housing units as of the 2010 Census and a home ownership rate of 55%, and the median sales price (half above/half below) for a house is $670,000 as of 2013. Although it should be noted that there are a number of public housing projects in the ANC6B geography, more likely than any other ANC with similar high income demographics. 2. The Aging in Place initiative by Capitol Hill Village is not the only way to support senior living options. In fact it can be argued that such initiatives also encourage "overhousing" and underutilization of scarce housing resources, and economic stagnation within local commercial districts ("It's impolitic to say but no property taxes for older senior citizens is a bad idea"). 3. Offering subsidized rents expands to lower income demographics the ability to live in quality neighborhoods. 4. The proposed project in Hill East is also in line with the various city policy objectives concerning the expansion of affordable housing. I am with you on this-simply because anything that the rank and file old people on CH want I am almost always against. Capitol Hill Village is another one of their conspiracies. These people fight everything I like and everything that is positive and progressive. People who are not rich NIMBYs deserve a chance at decent elderly housing , too. My only holdback- it should be rebuilt at 10 stories in height. We need more density everywhere in DC. You seem to be so apologetic (and label-y) for even something remotely Marxist occurring to you! PS: Hate "NIMBY" as any kind of descriptor. It is so thought reducing. use the word Marxist with local government officials--elected or appointed--and you get an incredible rise. Interestingly, the one person I had a great conversation with about David Harvey, he wants to be a developer. but he got his grad degree in London.
" Capitol Hill isn't suffering from the lack of market rate housing. " What do you base this statement on? The massive increases in prices over the past few years suggest that demand to live on the Hill far exceeds the supply of housing. If the median sales price is nearly $700,000, that should be a pretty big sign that a) more housing is needed, and b) if some cheaper units were available, market-rate buyers and renters would take them in a heartbeat. In other words, yes, there is a shortage of market-rate housing on the Hill. If there wasn't a lack of market-rate housing, you'd expect to either see a) massive development all over the place, or b) stable prices. Capitol Hill has neither. one thing the Hill does have- a lot of elderly NIMBYs who do not want change and a lot of price increases for basic housing. However- if Richard's stance frustrates these obstinate and degenerate NIMBY [ or whatever you want to call them] people, then I am all for it- even if it means missing an opportunity for some who might otherwise prosper here. Alex B. -- I was sloppy. Of course, given the demand to live in high quality places, you're right that there is more demand for housing than there is supply in Capitol Hill. So you're right more than me. The point I was trying to make is that it's ok to have some affordable housing there, that the market is dominated by owner-occupied housing, for the same reason that you call attention to--more demand to live there than there are existing units. Plus, it could even free up a couple houses for resale, if someone decided they'd rather right size and live in a lower cost apartment as opposed to a big house, with steps, free and clear sure, but bigger than they want. 2. in one of the other cited previous entry, anon listed a suggestion that caretakers for older residents could be live-in and the jobs training based, as a way to expand workforce training and increasing the number of people living in an otherwise "too large" house. Thanks for the clarification, Richard. You're absolutely right, of course - a handful of subsidized units isn't going to turn CH into a slum, and any such fearmongering against affordable housing is disingenuous. wrt your point about the housing crunch, of course your general point of "there isn't enough housing" is in fact the reason that the delivery of new housing isn't resulting in overall pricing decreases. It's because the demand for housing, especially in neighborhoods with historic building stock, retail amenities, and Metrorail stations exceeds the supply. Even as new housing is added, it isn't enough to meet latent demand. Hence, prices still rise. 2. wrt your first comment and my sloppiness, the other thing that likely was in the back of my mind was my response in my greater neighborhood (Takoma), to the point that someone made as a backhanded criticism of the proposal for apartments on the Metro station "why isn't anyone building family housing?" They meant: if you're going to build housing, build single family housing. But 90%+ of the housing stock in my neighborhood is in fact single family housing already, either detached or attached. The number of multiunits is very small and clustered at the Metro (or along Georgia Avenue) with a couple of errant examples here and there. And given the cost of land and location of the parcels available for development, of course they will be developed as multistory apartment buildings. In fact a relatively under-dense new project underway, with about 100 units, behind the CVS, shocks me, because a smaller parcel on Carroll Ave. (where the Busboys and Poets is) has double the number of units. Again, it's a waste of opportunity. The only good thing is that since it's rental, at some point, it could be redeveloped and expanded. This debate here is a microcosm of the Marxist/neoliberal divide. Using supply/demand as a explanation for housing prices and affordability on the Hill is a bunch of neoliberal batshit stew. First, 600 or 700K is actually quite affordable inside the larger metro area. That is even by DC standards. It is supremely expensive for people who don't have jobs or the prospect of making the area media wage. That is why this is a submarket -- there is no magic reason to live on CH. And neoliberals love pointing out supply/demand deltas as a pricing explanation, but of course there is a massive feedback loop here. I don't want to go off topic too much, but markets while efficient as discovering a price are not effective signals for other actors to act on that price (the feedback loop). In the long term, yes, but then again we are all dead by then. Richard's point about being a marxist is more true, because really -- in DC and other strong market cities -- is what we are seeing is wealth beating income (labor). A waiter making cash tips isn't going to get a mortgage. Or someone with a very spotty job history. Or as I alluded to, someone making less than 100K is not going to be able to buy into this submarket. I've long wondered about why young urbanizers like the neoliberal talk. I've blamed it on early exposure to reagan, or more likely simcity. They say, markets, and wave their hands around. I think the reality is being 90% white, they can't talk about the obvious racial dimensions of what is going on, their role in native-removal, and so fall back on neoliberal market talk. There is a similar project near me. Badly maintained and is an eyesore. Unlike DC public senior housing the people living there (hispanic) are actually old and don't commit crimes. A friend of mine is a partner at a firm downtown and does this affordable house credits. He just moved to McLean for the schools. 2. Anyway wrt wealth vs. labor, that is the crux of the matter, which you are always so good at getting to quickly and succinctly. wrt the hullaballoo about Piketty and that young grad student's response, I think the problem is that the grad student is looking at capital owned at the individual scale rather than as a whole. On the whole, capital will always garner greater returns than labor. But at the micro scale, some owners of capital will get wiped out when economic conditions and other exogenous shocks, technological changes, etc., change circumstances for particular types of firms. E.g., railroads lost a lot of value with the rise of the trucking industry. Whale fishing died out with the rise of the petroleum industry. Carriage making died off in response to the automobile (although some auto companies had some genesis in such firms--Studebaker and GM). And then within industries, textiles e.g., first in Mass by the south, then the south by foreign sources with the rise of globalization. Or the Hunts got trashed when they tried to corner the silver market. But overall possessors of wealth continue to grow it and generally do way better than those of us relying on labor for the bulk of our income. cf. the story about how the Rockefellers sold Rock Center to the Japanese at the top of the market, which then crashed, costing the purchasers big time. The joke was "that's why the Rockefellers are Rockefellers." 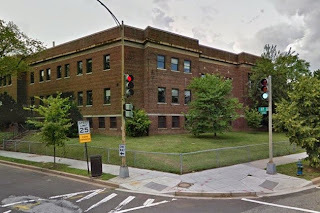 it is peculiar and exposes the inconsistency of NIMBYs when they advocate for a new apartment structure for the old Boys/Girls Club and simultaneously fight against a new proposed apartment project for 15th and A streets NE which would have the effect of ridding the area of yet more abandoned properties. These NIMBYs create more problems than the puport to solve. Both properties should be redeveloped. 15th street WAS a commercail area and it should remain so- and this neighborhood is not a sprawling subdivision- so I say put in maximum density on 15th street. Screw the idiots who think they will not be able to park their 3 SUVs on the street. Make them take the bus. The use, the celebration of "NIMBY" as a form of argumentation perfectly encapsulates why Washington is such an anemic intellectual town. The word choice exemplifies the lowest form of discourse. It's ad hominem argumentation at its finest. I remember being puzzled by the way people speak almost in short hand, when I first arrived in DC. It was so lazy, and it was more a way of signalling to each other who's "cool" and who's not. So much for the virtue of clarity.